Next Insurance Inc., a Silicon Valley startup that offers customized coverage to small businesses, has raised an $83-million Series B. The funding round was led by Redpoint Ventures, a large California fund whose managing director, Elliot Geidt, will join the board of the Next as part of the deal. Existing investors Munich Re and Nationwide Insurance participated in the round as did American Express Ventures, Ribbit Capital, TLV Partners, SGVC and Zeev Ventures. The deal brings Next’s total equity funding to $131 million since its founding in 2016 by entrepreneurs from Israel. The company’s last investment was a $29-million round announced in May 2017. 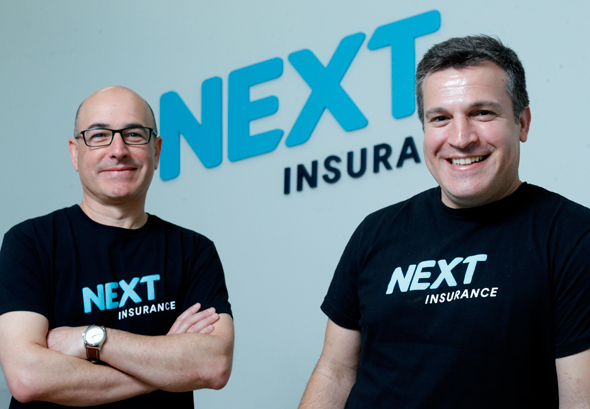 Next aims to make getting coverage simple and quick for entrepreneurs and small businesses that are underserved by the established insurance industry. Artificial intelligence and machine learning technologies help Next tailor its insurance policies for customers that vary from yoga teachers to kindergartens, to home improvement companies. “Gone are the days of complicated, unreadable policies, exclusions that leave entrepreneurs vulnerable, and endless meetings and phone calls with insurance agents who don’t understand the nuances and needs of different classes of business,” Guy Goldstein, Next’s CEO, said in a statement. Headquartered in Palo Alto, California, Next is licensed to provide coverage in Delaware, Oklahoma, Arizona, North Carolina, Texas, New Mexico, Maryland and Utah. The company plans to expand to the rest of the U.S. in the future. The licensing allows Next to write its own insurance policies while using other companies as underwriters. Next is the second recent insurance startup with Israeli roots to announce a major funding round to help it expand across the U.S. Last December, New York-based Lemonade Inc. announced a $120-million investment from SoftBank.